Founded in 2006, PEC has quickly grown to include more than 150 employees, including 3 professionally licensed engineers. Our rapid growth can be attributed to our commitment to providing our clients with innovative solutions focused on their unique business needs. Our team is capable of developing, implementing and supporting cost effective services that help improve our clients’ operational throughput. Consultants and professional engineers at PEC have proven expertise in solving issues for businesses in the areas of industrial electrical engineering, telecommunications engineering, and gis & mapping. With Palmetto Engineering & Consulting’s merger in January of 2014 with Little Rock, Arkansas-based CT&T, PEC now offers right-of-way (ROW) services to all our clients. Our ROW staff, people with more than a century of collective experience, has completed several thousand right-of-way projects. In addition, CT&T has added an entire department dedicated to ISP engineering offering tremendous value to our clients. Our professional team of licensed engineers has assisted clients in diverse industries, including: extrusion, pharmaceutical, film, rubber and chemical, OEM manufacturing, general industrial manufacturing, oil, and gas. We have built our reputation on providing innovative solutions that meet the requirements of our clients both today and into the future. Palmetto Engineering & Consulting exists to provide superior engineering and consulting services in a way that creates value for our clients, provides meaningful careers for our employees, creates opportunities to strengthen our firm, and enriches the communities where we work and live. A Clemson graduate, George holds a BS in Electrical Engineering along with an masters degree in Business Administration. A licensed professional engineer in over twenty states, George is a Founder and Principal of Palmetto Engineering & Consulting (PEC) where he serves as President and Chief Executive. PEC serves the telecommunications, electric utility, and industrial manufacturing markets. The firm also develops and offers an ESRI-based GIS software "CrescentLink", and provides petroleum production support (Electric System Reliability). George has been practicing engineering for 36 years, 26 of which are in private practice consulting…and 12 of those are at PEC. Besides speaking at a wide array of conferences and meetings on current telecommunications trends and solutions, Wyatt specializes in the high-level strategic planning necessary to birth major telecom initiatives. His engineering experience and financial background, along with his ability to communicate complex concepts to directors serving on corporate boards, has been of tremendous benefit to telecom leaders across the south. He is currently serving on the FCC Broadband Deployment Advisory Committee (as a member of the Competitive Access to Broadband Infrastructure Working Group). From long range planning and strategic visioneering, to financial optimization and adaptation of regulatory models, George consistently exhibits his passion for helping independent telcos thrive in a rapidly changing marketplace. His vision, energy, and passion for his clients’ success are made manifest in his interest, and involvement, in every aspect of professional consulting services that PEC provides its many clients across the country. 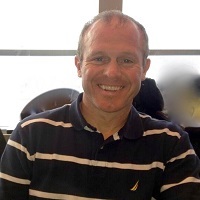 Chris is a 1989 Electrical Engineering graduate from the University of South Carolina and has been practicing telecommunications engineering for over twenty-five years. He is Chairman of PEC’s Board of Directors and he serves as Senior Vice President of the CO & Networks Department for the firm. 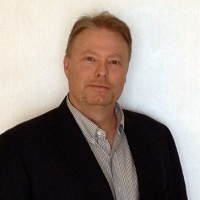 Chris is a licensed Professional Engineer, carrying licenses in 14 states. He is currently finishing a two year term where he served as President of the prestigious Association of Communications Engineers. He is well known across the industry from his nation-wide project footprint, and from the national forums he presents across the country. Although Chris has practiced in all aspects of telecommunications engineering, and many facets of electrical power engineering, he particularly enjoys the technical audits of equipment for AC & DC powering issues, grounding, and troubleshooting of transient issues. 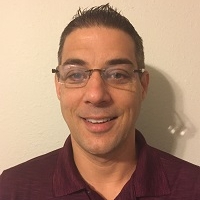 He also excels at providing specifications for a wide range of electronic equipment, performing analysis and mitigation reports, and doing Network planning, design, and system modeling. These are all areas where Chris excels in helping PEC’s client base. His 25+ years working with COE makes Chris our most experienced and valuable engineer in these areas of specialty. 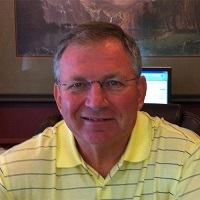 Scott joined PEC in October 2009, specifically as the Director of Farmer’s Telephone Operations. In this role, he manages all telecommunications outside engineering projects and the associated contracts and personnel associated with this major client. Prior to PEC, Scott began his telecommunications career in 1991 working with Design South Professionals. Rising through the ranks, he was assigned as Project Manager for one of the company’s major clients. Larry holds a BSIE degree from Arkansas A & M College and is now the University of Arkansas at Monticello. He is a co-founder of CT&T, Inc. which is a consulting engineering firm that offers their services to the telecommunications and the CATV industries. Larry has been in the telecommunications consulting arena for 46 years in which 34 of those years has been with CT&T. Clary was also the founder and president of Cadron Cable Company which served the Greenbrier, AR area for several years until sold. In January 2014, CT&T sold to Palmetto Engineering Consultants and Larry continues to serve as the president of the Arkansas Operations. 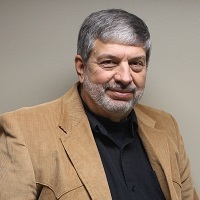 His passions to help the small as well as the large companies to succeed in their businesses has driven him to continually work in the consulting arena and has successfully design and complete many of the larger fiber optic networks across the southeastern US. He has served on several boards in the telecommunications industry such as the Arkansas State Technology Counsel, which gave counsel to the State of Arkansas for their technology needs and direction. Clary also serves on the Arkansas Telephone Association Board who makes decisions on the way the telephone companies of Arkansas planned their strategies. John has 44 years experience in the telephone industry, with 18 years working as an Outside Plant Engineer for various telecommunications companies while working for a professional engineering firm. For the past 32 years he has been Co-Owner of CT&T, Inc., with 10 of those years working as an Outside Plant Engineer and 4 years working as Project Manager over a PSC Orders and Outside Plant Inventory of all facilities owned by United Telephone Companies of Missouri and Arkansas. For the past 24 years John has served as Manager of Right of Way Acquisitions for AT&T and various independent telephone companies and electric power companies. He was also a Co-Owner of Cadron CATV in Greenbrier, Arkansas prior to its sale in 2000. Jeff has worked in the telephone industry for over 21 years. Prior to joining the PEC team, Mr. Little held various positions at Midland Group, Advanced Fibre Communications and Consolidated Communications. Jeff’s primary focus has been design and implementation of wireless, power, transport, data, BLC, video, and switching networks. His experience as an end user, equipment vendor, and consulting engineer has translated into great efficiencies and savings for his clients. 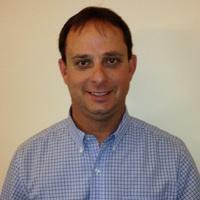 Jeff has a Bachelor’s degree in Electronics Technology and General Business from Stephen F. Austin State University. He is a veteran of the USAF receiving his honorable discharge in 1996. Jeff has been married to his wife Kim for 24 years. They live in Lufkin Texas with four of their five children. His oldest daughter has left the nest.